Hello! This photo is of yesterday's look. 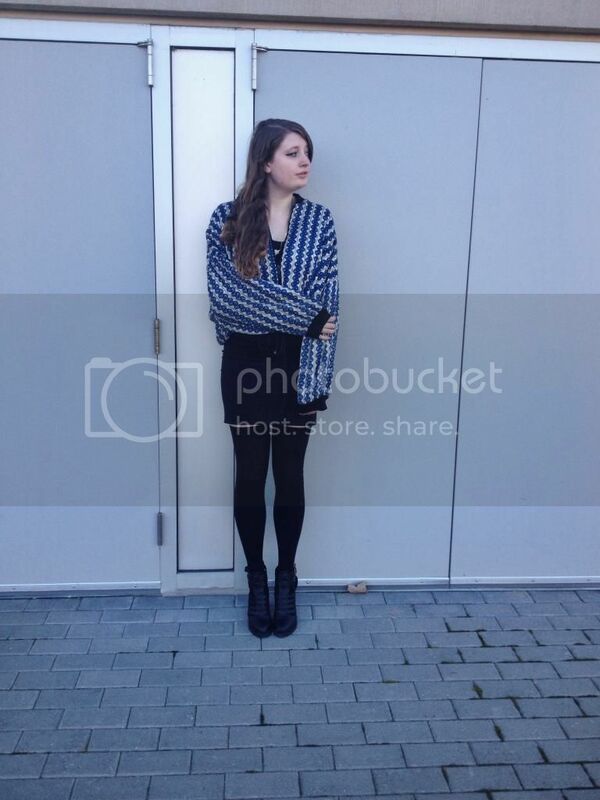 I styled a vintage patterned jacket over a black long-sleeve top and black body-con skirt. Black thigh highs and black booties completed the look. I styled the jacket with all black in order to place the emphasis of the look on the jacket. This jacket is an absolute vintage treasure. I discovered it at a thrift shop in Richmond this past summer for about $15. I've never seen anything like this jacket before; it's definitely one of a kind. The shape as well as the material of this jacket are very unique. My favorite thing about this jacket is that it is reversible. Yesterday, I wore it so that the blue geometric print was showing. On the other side, there is a colorful fish print.